There are pieces that such as accent furniture that can be placed in a room to add a little extra touch. 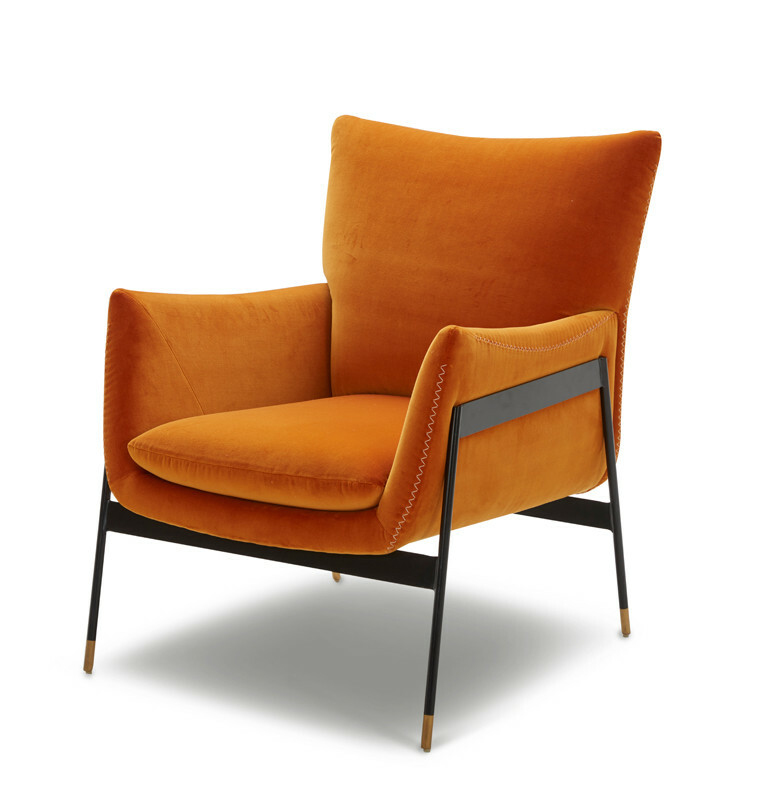 The Joseph accent chair has a very modern look to it, it is upholstered in orange velour fabric and it has a black metal frame with gold foot caps. With its vibrant color and unique design, this accent chair would look great in a room that is black and white to add a focal point to the space. Coffee tables and end tables can be used as decor too if you select sets that have a fun and interesting base and or table top. When doing this, it’s always great to match the base with the legs of your sofa set or sectional that you decide to use. 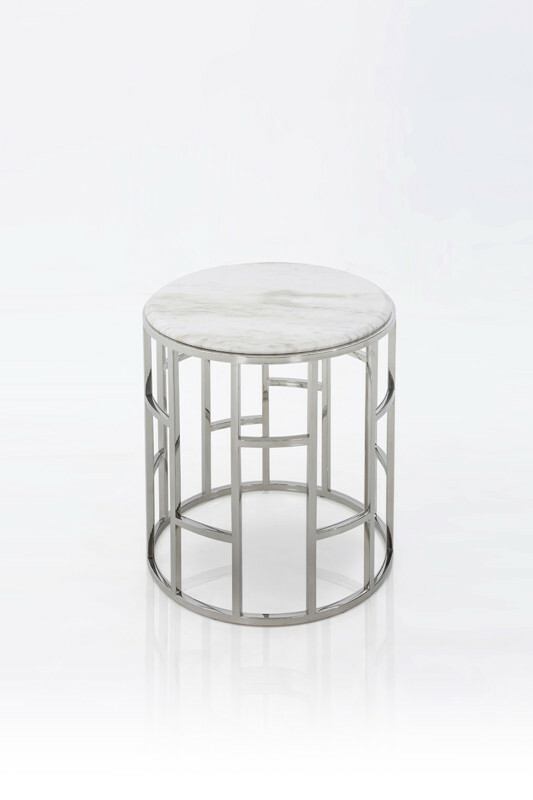 The Silvan coffee table and end table are a perfect example of a unique base and top. 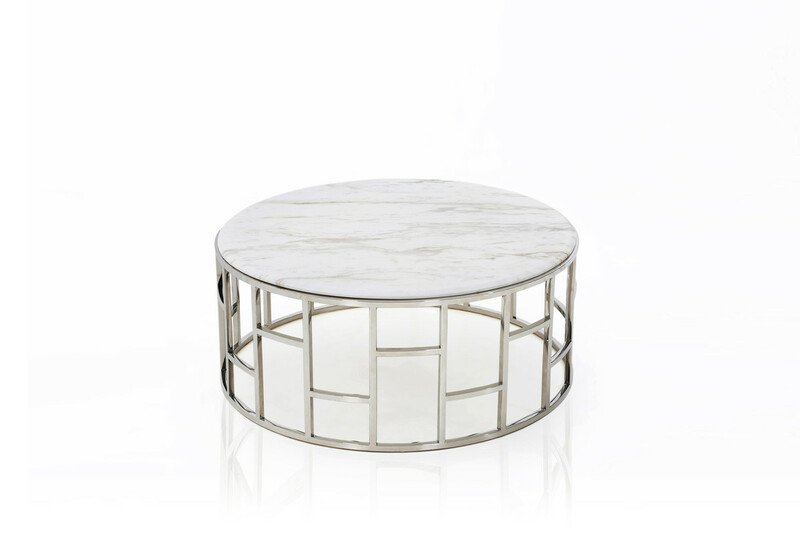 They both have a round, white calacatta marble top and a stainless steel base. The crafty looking frame will stand out and add decor into the living room area. It can be matched with grey tones or color sofa sets or sectionals. Have you ever thought of how one little piece of furniture can give such a simple room such an elegant touch? Ottomans are great pieces to do that with, especially if they are glamorous enough. Ottomans look great with accent walls, powder rooms, and office spaces. 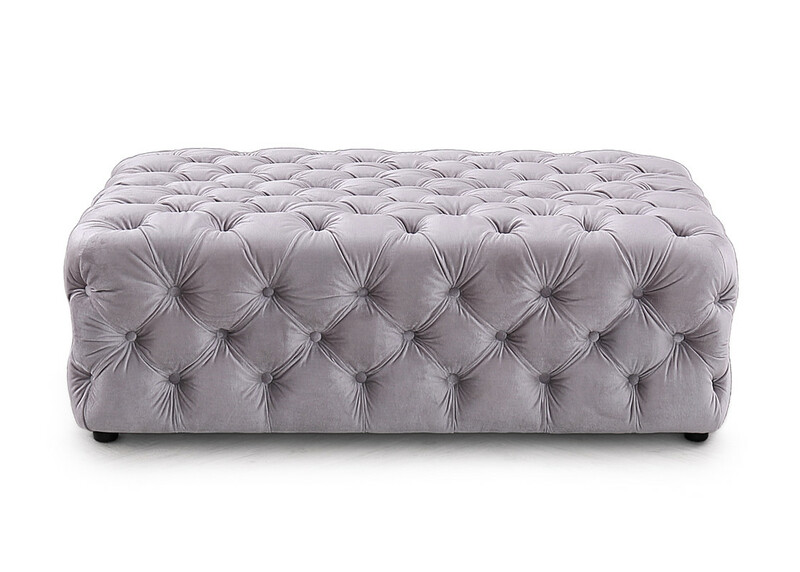 The Spiegel ottoman is the perfect example, it comes in a rectangular shape and it is upholstered in light grey velvet fabric. The tuffs on it is what gives it such a glamorous and interesting look. Designing a space with accessories and decor are what define you as a person. The was way you use pieces to your advantage allow people to see if you are into glam, modern, traditional, and more. Which style defines you? Are you into vibrant colors or solids? How would you accessorize your living space?